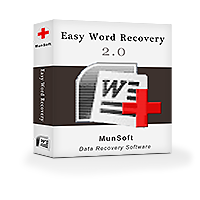 Easy Word Recovery is a modern utility that performs Word recovery for Word files that have been deleted and deals with damaged documents as well. 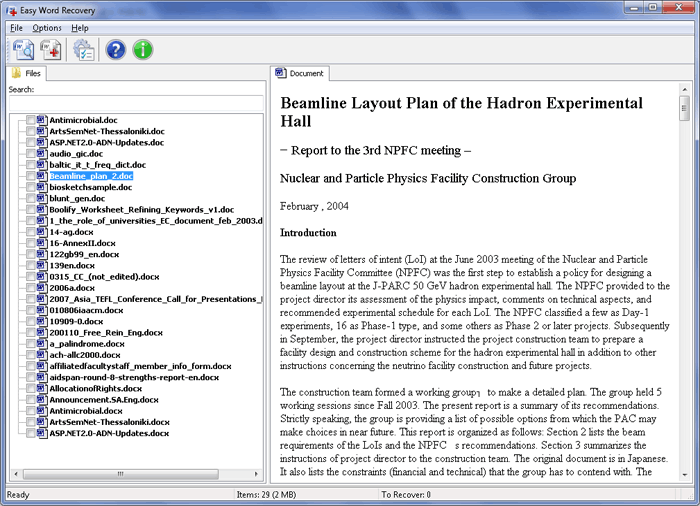 The program works with all Microsoft Word versions, from the oldest and up to the newest ones. Exclusive algorithms used in the program enable recovering maximum possible files from all types of data media, even if those files were not only deleted but formatted too. If a document was severely damaged and then deleted, even in such situation Easy Word Recovery can help with Word recovery. But it’s not always possible so before buying the program, it’s absolutely necessary to check, with the help of the trial version, if anything can still be done with the files, whether they can or cannot be recovered. In order to do this, a damaged document should be opened in Easy Word Recovery and checked with the preview. If its contents are visible, it can be recovered. 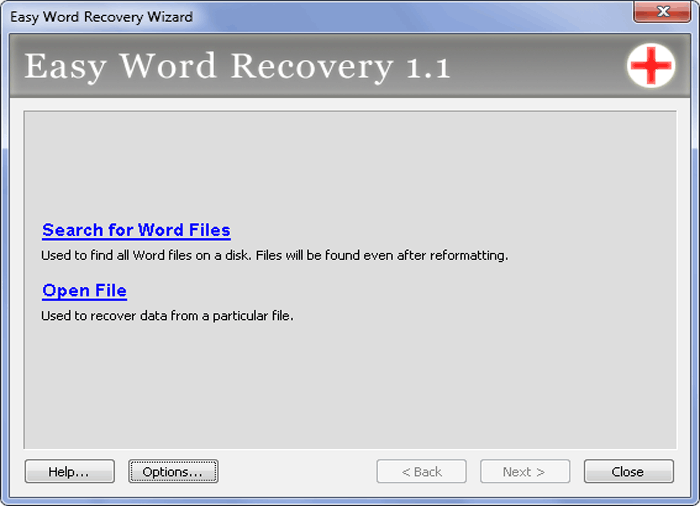 Easy Word Recovery works on almost any version of Windows: 2000, XP, Server 2003, Vista, Server 2008, 7 or 8. It uses as little system resources as possible which makes it a good choice for less powerful computers. A clear and easy interface is free from all the unnecessary distractions and makes the program suitable for less experienced users. So the question about Word recovery no longer arises, because Easy Word Recovery is almost an ideal solution in this case. I just wanted to say: Thank you very much! One of my word-files was surprisingly corrupt, and all my saved copies of it were too... Obviously the first version got a hit at the time of the last saving-process. 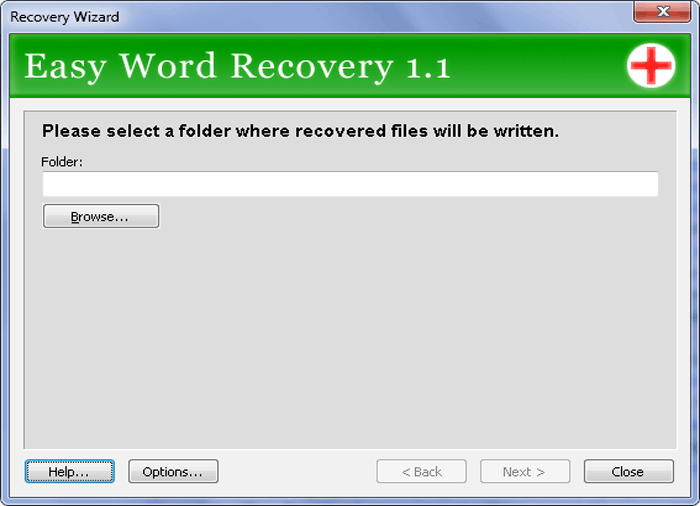 With your 'Easy Word Recovery'—software I was thankfully able to extract the content! The preview showed all necessary information, but I purchased a license, just to support your helpful work!